Unveiled at BASELWORLD, our latest offering from Chopard Manufacture, the L.U.C 8HF model, is definitely bound for the history books as the exceptional timepiece housing the first high-frequency (8Hz) escapement to have successfully undergone the rigorous tests conducted by the Swiss Official Chronometer Testing Institute (COSC), a token of excellent precision and reliability. 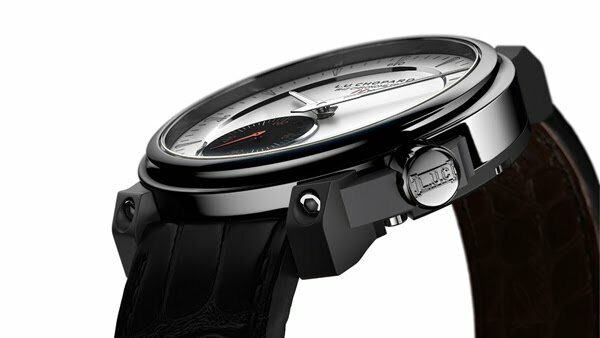 This L.U.C 01.06-L movement is also distinguished by the highly adaptable nature of its high-frequency escapement, since it is indeed compatible with almost all existing L.U.C movements developed by Chopard Manufacture – a major step forward that further consolidates the coherent nature of the company’s Fine Watchmaking collection. Entirely in keeping with the futuristic movement housed within, the 42 mm-diameter case of the L.U.C 8HF model is made of titanium. It is water-resistant to 30 metres and distinguished by its crown at 4 o’clock, also in titanium and bearing the L.U.C logo. The date appears in a pointer-type display at 5.30, while the red small seconds hand at 6 o’clock travels far more smoothly than on ordinary watches thanks to the high-frequency escapement and its 57,600 vibrations per hour. The resolutely avant-garde case features titanium monobloc lugs and caseback with a matte finish. A magnifying glass built into the half-closed case-back is positioned just above the high-frequency escapement, providing a chance to appreciate its finer details. The L.U.C 8HF model is teamed with a hand-sewn matte black alligator leather strap with a cognac-coloured alligator lining, fitted with a titanium pin buckle. 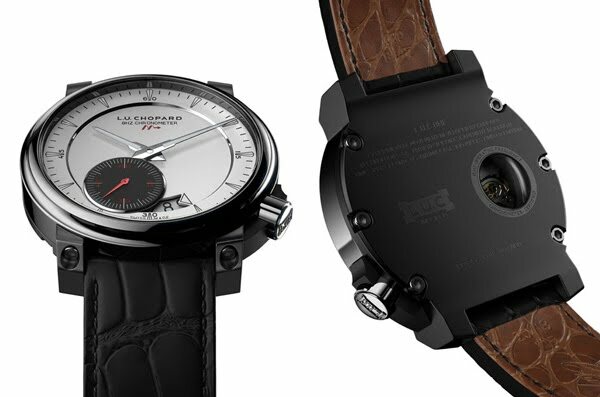 It is issued in a first 100-piece limited series equipped with the high-frequency experimental L.U.C 01-06-L movement.